Albrecht Dürer's Artwork that is housed in the Metropolitan Museum of Art in Manhattan, New York. 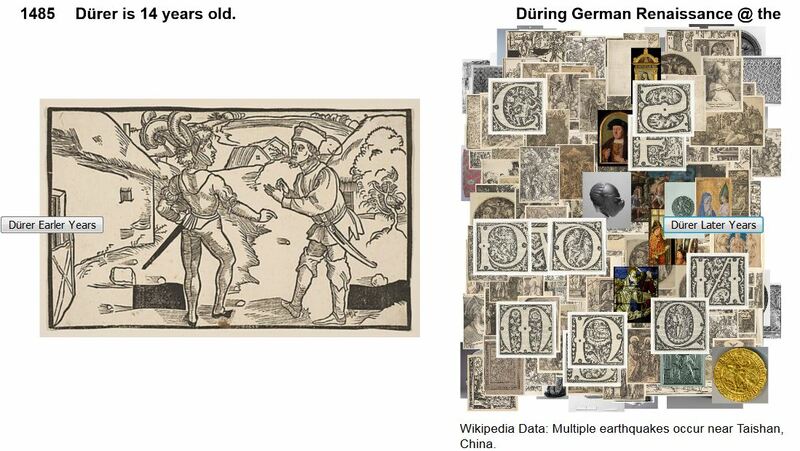 Albrecht Dürer's Public Domain Artwork that is housed in the Metropolitan Museum of Art in Manhattan, New York, juxtaposed with other worldly insights. 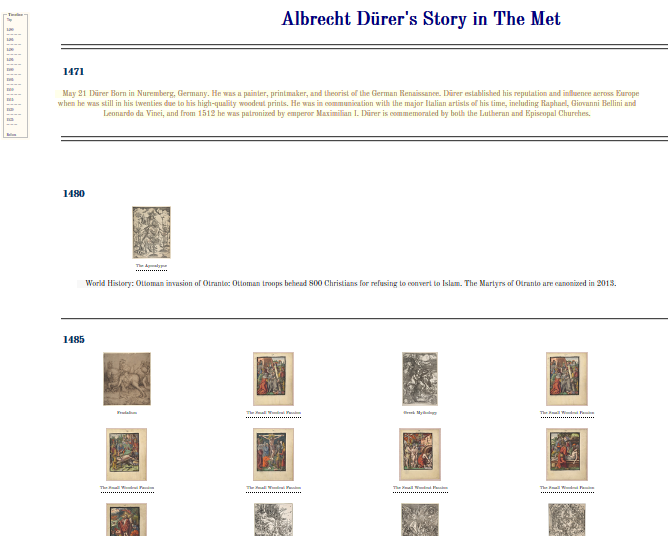 Albrecht Dürer's biography as indicated by his artwork housed in the Metropolitan Museum of Art in Manhattan, New York. Where is Dürer's In the Met? 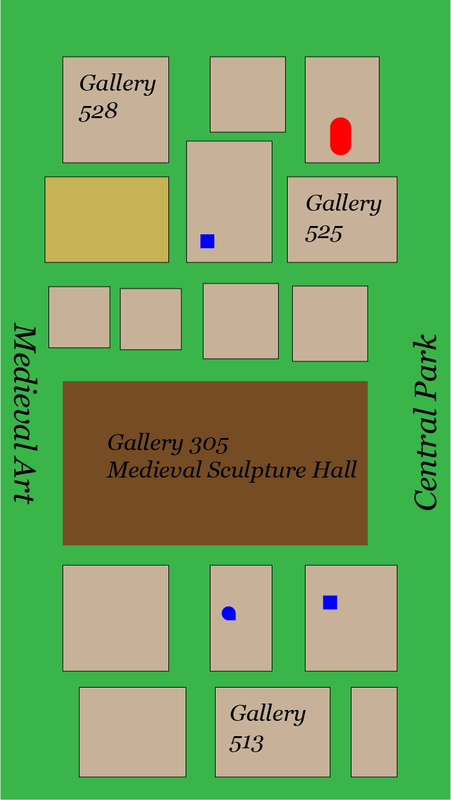 This visualization is to guide people to Albrecht Dürer's artworks housed in the Metropolitan Museum of Art in Manhattan, New York. 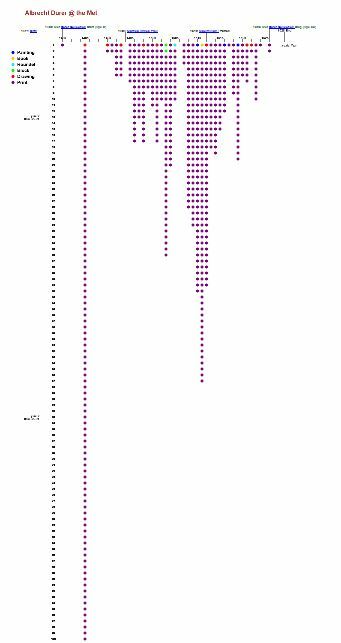 "Parsons' Master of Science in Data Visualization is a multidisciplinary program in which students develop skills bringing together visual design, computer science, statistical analysis, and ethical considerations of data analysis and representation. The presentation of data plays a critical role in the shaping of opinion, policy, and decision making in today's increasingly global society. 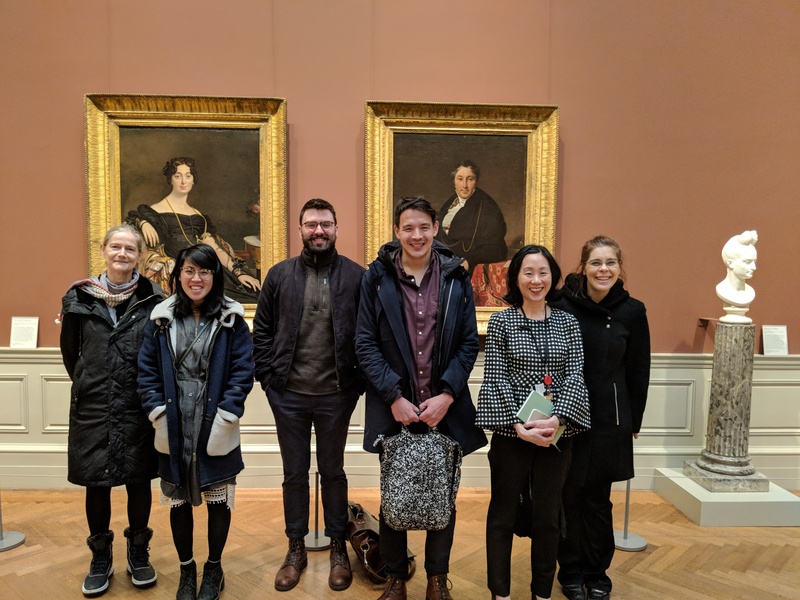 Giving students a competitive edge as they enter the field, the MS program responds to the increased demand for experts who can turn data into insight. This program is part of Parsons' School of Art, Media, and Technology (AMT)."